Their Instagram profile was enough to get a 9 month pregnant lady driving to Larnaca. When you eat for 2 (or 10 in my case), you have to make the most of it. Their dishes scream “indulgence” and regardless of the flavour, one has to eat with their eyes first. I am totally clueless as far as Larnaca is concerned but it’s situated in what looks like the old part of the city, relatively easy to get there if you can use Google maps. What I hadn’t realised is that it’s in the courtyard of a “motel”. The space is quite small but cute, with a kind of exotic, serene ambiance. One could say the tables are quite cramped but I didn’t mind since it was neither too loud nor too chaotic. 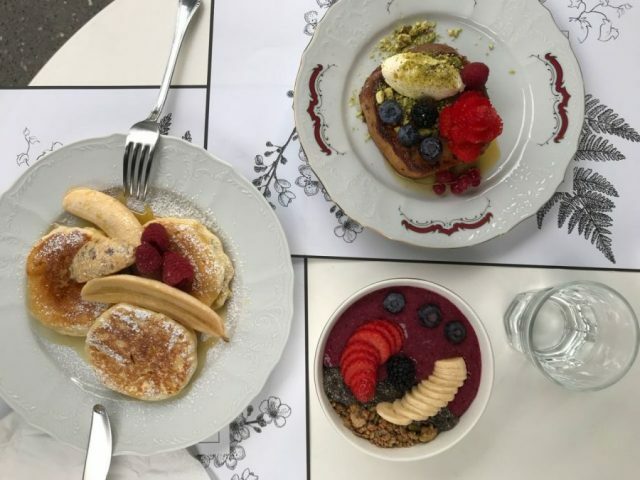 The single page menu includes more than enough dishes for a complete brunch with a selection of savoury dishes and a good choice of sweet pancake and brioche dishes. 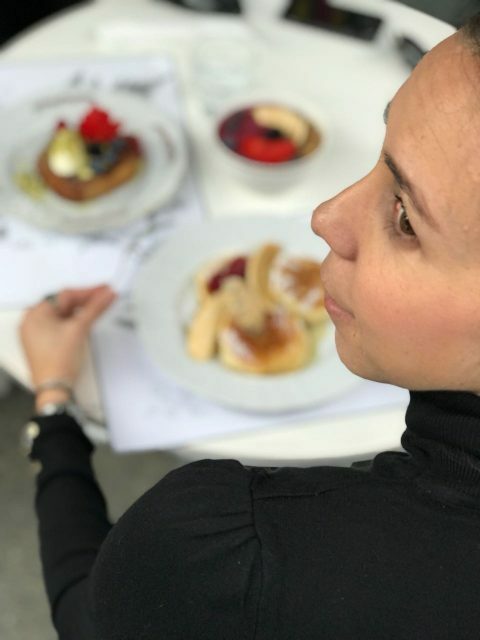 The savoury selection included dishes like kale and spinach scrambled eggs (Edem’s Florentine), to Croque Madame and Smoked Tokyo (New York bagel with avocado and eggs). 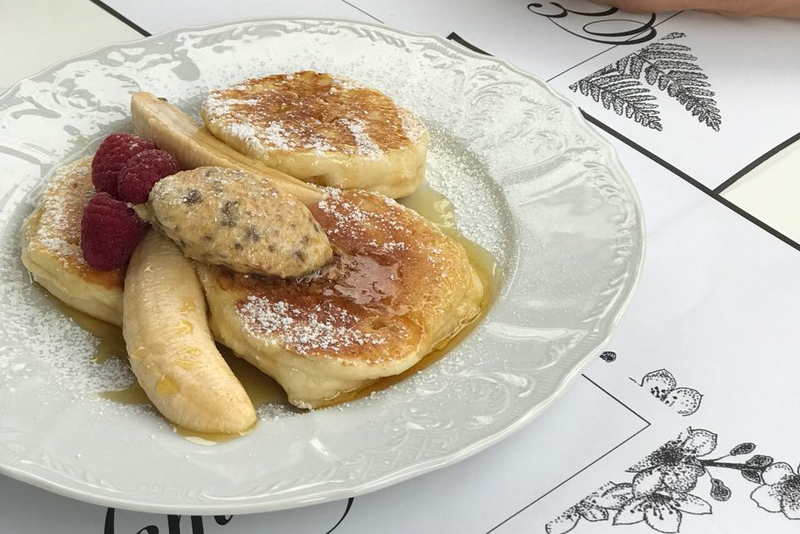 What got my attention from the sweet selection was the make-your-own pancake choice, yummy homemade brioche with white chocolate, nutella and mastic ice cream. The Yard’s Brioche with mascarpone cheese, maple syrup, forest fruits and crushed pistachios that we tried was excellent, quite sweet but a great combination of flavours. 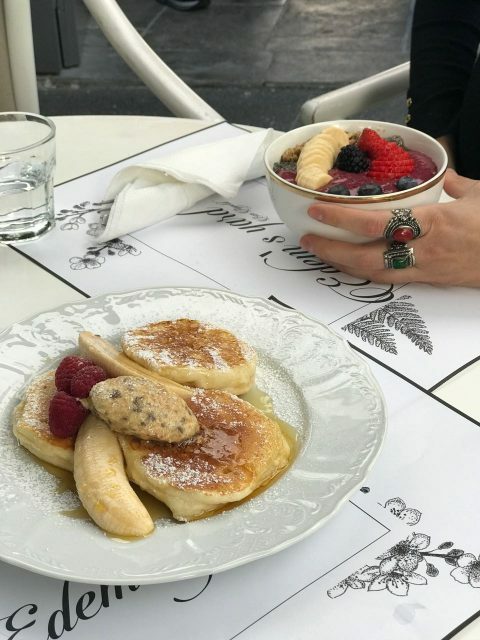 The “Italove”, with ricotta filled pancakes and honeycomb butter was a great choice for something different and would have that any day with any topping. The granola pot we tried was clearly secondary to everything else as it was a bit flat in flavour but we remained more than satisfied with everything else. Edem’s Yard has managed to achieve what I have always thought it was the key to success: specialise. They specialise in indulgent brunch dishes that look great. Everything has a traditional element to it (American, French or local) with a twist and they are all handmade with love. Make sure to book in advance as they are full every day after 10 (even weekdays!). All dishes are between 5.50€ and 8€, very reasonable prices in my opinion.